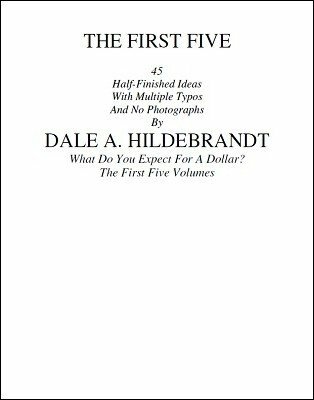 The first five volumes of the highly-acclaimed What Do You Expect For A Dollar? series. 45 Half-finished ideas with multiple typos and no photographs. 1st edition 2009, 98 pages.